Does my bespoke joinery need a FENSA certificate? When you install new windows or doors within a residential property, you need to ensure that they comply with all relevant building regulations. Every installation needs to have the appropriate certification to prove that these regulations have been met and there are various ways to secure this. One such option is a FENSA certificate. What is a FENSA certificate? FENSA – which stands for Fenestration Self Assessment Scheme - is a Competent Person Scheme (CPS). It was established in 2002 and applies to replacement windows and doors installed in domestic properties in England and Wales. Individuals and firms vetted by FENSA can self-certify that their work complies with building regulations. They are also required to have certain protections in place, including an insurance backed guarantee on all replacements and doors, and an indemnity scheme, or similar, to protect any deposits paid. When an installation is carried out by a FENSA registered installer they will supply a certificate for the works. Do I need to use a FENSA registered installer? While the scheme has its advantages, the short answer is no. It is simply one option. Installers can either choose to go down the traditional route and register their work with the Local Authority Building Control (LABC), or they can join a CPS, such as FENSA, which allows them to self-certify. If you are installing windows yourself then similarly, you will need to get a certificate issued by the local authority. For any installers you might work with on your project, it is always advisable to conduct the proper due diligence. Ask for recommendations, and check references and examples of their work. Investigate any claims that are being made and check which trade body they are a member of. If you decide to go ahead then make sure you ask for a copy of the FENSA or LABC certificate when the installation has been completed. 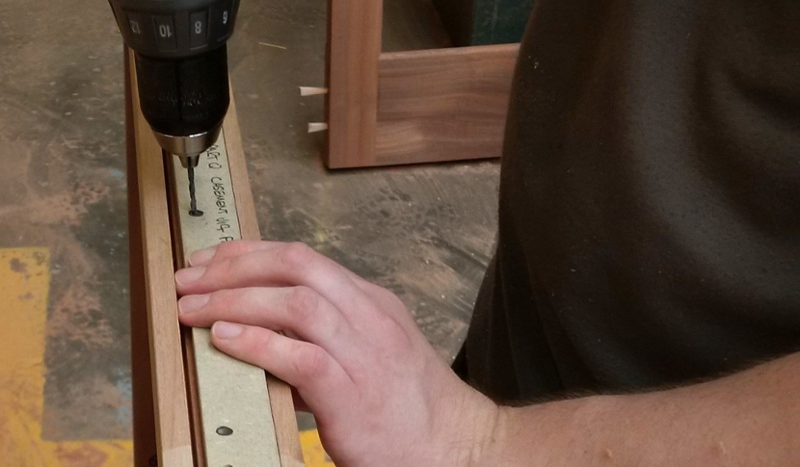 At Salisbury Joinery, we have been supplying hand crafted joinery for more than 40 years. We manufacture doors, windows and staircases from a wide range of quality timbers, which can be designed and finished for any style of property – from the traditional to the modern and contemporary. Any timber we use comes from sustainable sources and our doors and windows are CE Marked, which shows they conform to BS EN 1435-1:2006 + A1:2010. They are also supported by our own product warranty. Our speciality is the creation of high quality joinery, we do not handle installation. Make sure you choose a reputable contractor and remember to ask for an installation certificate when the work is complete. For expert advice, help with specification, or ideas and inspiration for your next project, please call our experienced team on 01722 337040.